Hi Paula, I just found your blog through Ciao Chow Linda’s blog and so glad to discover it! Thank you for this delightful recipe and I’ll be reading your posts for more! Thank you so much! Your blog is wonderful – beautiful photos and a true reflection of your love for the Italian way of life. I look forward to our newfound connection. Thanks for stopping by my blog and leaving a comment, allowing me to find your wonderful blog. 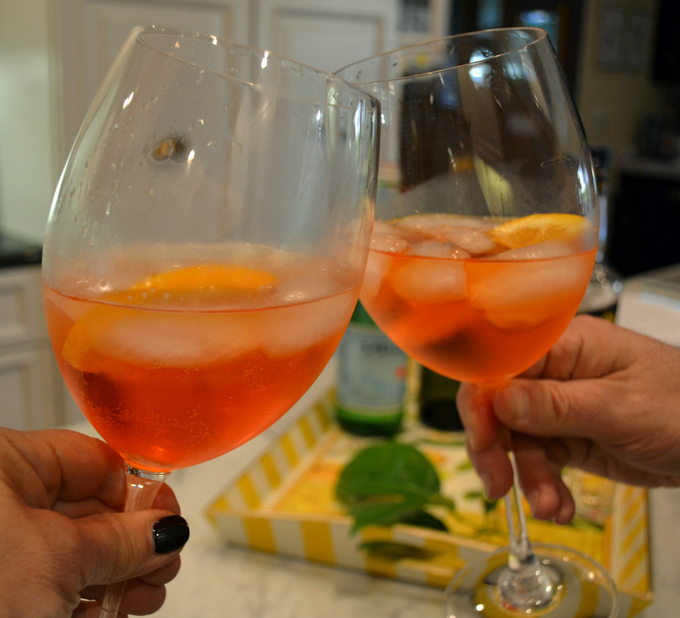 I just made my first aperol spritz of the season this week – and forgot to add the sparkling water. I knew there was something missing! Linda, you have all day to revisit Lo Spritz and decide whether to use sparkling water or not. Enjoy and I look forward to your next post. As your brother , I am so proud of this web site . Professional , informative , I would expect nothing less from you . You are incredible . Grazie mio fratello – ti voglio bene….